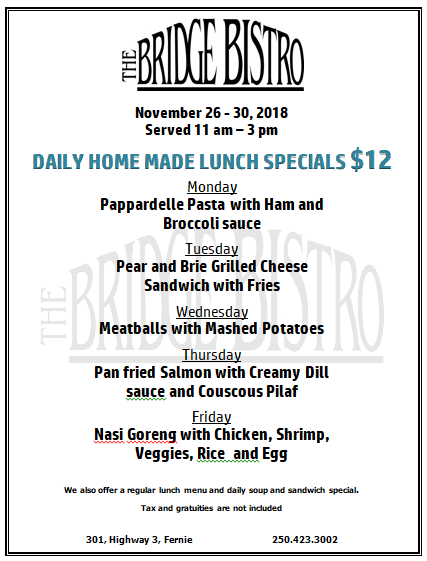 Here are the Lunch Specials for this last week of November 2018. We will be serving up Three Course Turkey Dinners every Sunday in December. Reservations are recommended. New menu to be released in mid December.